Cox Business in partnership with Accelerate South and Lafayette General Foundation cordially invite you to be part of Get Started Medical, a live forum & pitch competition that will bring together some of the best and brightest minds in Louisiana. The event will feature the state’s hottest business ideas in the medical industry, and you can be a part of it all! Pitch your business or attend the event as a guest - below you will find information on both ways to get involved. Watch local start-ups, entrepreneurs, and small business owners demonstrate their savvy business idea and get feedback from a panel of five judges, including Blaise Zuschlag (Director of Administration at Acadian Companies), Cian Robinson (Director of Development and Operations at Lafayette General Foundation), Rajesh Shetye (Senior VP and CIO at LHC Group), Mike Braham (VP & GM of Trapollo) and Casey Hoyt (co-founder of VieMed). Ten finalists will be chosen to pitch, and the winning business will win cash prize $2,500! This event is FREE and open to the public, but you must register to attend. 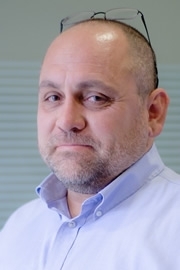 As Vice President and General Manager of Trapollo, Mike Braham is responsible for profit & loss performance and leading all aspects of strategy and execution of the Trapollo business plan. 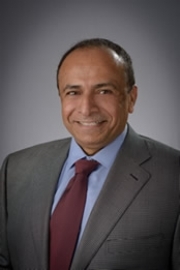 Braham retains a unique blend of strategic and operational experience in healthcare, telecommunications, and crisis management industries. He has extensive expertise in building high-performance teams and has been a leader in public and private enterprise level organizations as well as smaller venture capital-backed firms. 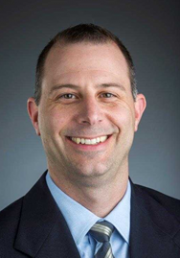 Blaise Zuschlag is Director of Administration at Acadian Companies. He earned an MBA from Tulane University and a BS in Finance from Louisiana State University. Prior to working at Acadian, Blaise worked at JP Morgan as a Private Wealth Advisor for 3 years and managed a diverse portfolio of investments, loans, trusts and banking relationships within the Private Bank. Blaise joined Acadian Companies as a Business Analyst in 2013 and worked on process refinement within the organization and project management with the implementation of new processes. 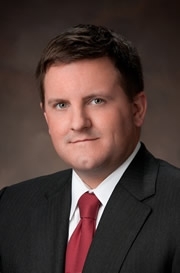 Blaise is a graduate of Leadership Lafayette - Class 24, and serves on numerous local non-profit boards including Leadership Institute of Acadiana, Lafayette Education Foundation, Evangeline Area Boy Scouts Swamp Base Capital Campaign, and Community Foundation of Acadiana’s Investment Committee. Casey Hoyt co-founded VieMed in 2006 with his long time friend Michael Moore, a Respiratory Therapist, with the objective of becoming the leading respiratory disease management company in the United States. His vision then and now is to enable patients to live better lives through clinical excellence, education and technology. Prior to starting Sleep Management, Casey had a successful track record of running successful businesses, most recently a worldwide organization, Nimlok Louisiana, offering a comprehensive line of tradeshow display and marketing services. 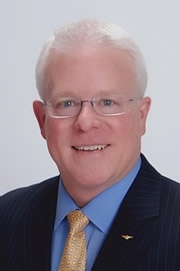 Known for his fun-loving and kind personality, Mr. Hoyt views his most important roles as recruiting, motivating, and managing the quality employees that VieMed has become respected throughout the healthcare industry. In his spare time, Casey enjoys hunting and fishing as well as spending time with his wife Marnie and their three children. Prior to LGF, Cian was a Director of two computer science-based research centers within the University of Louisiana at Lafayette’s Research Department (Center for Business and Information Technology and Center for Visual and Decision Informatics) as well as a decades long entrepreneur in the information technology and management consulting fields (Robinson Ventures, LLC). In 1991, Cian obtained his Bachelor of Science in Mathematics from Saint Vincent College (Latrobe, PA). In 1994, he was awarded his Master of Science in Public Policy and Administration (finance concentration) from Carnegie Mellon University’s Heinz College (Pittsburgh, PA). Cian is currently pursuing his doctorate in Leadership from the University of Louisiana at Lafayette. He has been recognized for his entrepreneurial and community work with several awards including: Silicon Bayou 100 (2017 & 2018); Leadership Louisiana (2017), LEAD Virginia (Class of 2008), Amherst N.Y. Chamber of Commerce’s Small Business Champion Award (2006), Western New York’s 40 Under 40 Award (2005), Niagara Frontier Industry Education Council’s Pathfinder Award (2004), National Science Foundation’s Entrepreneur Next Wave Award (2003), as well as Leadership Buffalo’s Class of 2000. AMonte Danos is Field Marketing Director for Cox Business in the Southeast Region. In this role, Monte oversees day-to-day marketing operations and product management for business telecom services in the Louisiana and Florida/Georgia market areas. 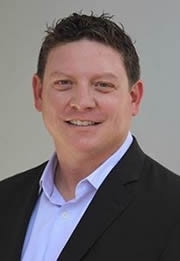 He partners closely with the respective markets’ sales, service delivery, field service, and engineering teams in driving the overall objectives of the organization. Founded in the spring of 2017, this medical technologies company is working to develop affordable, patient-focused technologies that aim at reducing costs to patients and improving quality of life to those battling severe allergies. Combatting the rising cost of healthcare in correctional facilities, Cure Global leverages telehealth enabled hardware, includes rolling carts, wall mounted displays and peripheral devices with the ability to support over fifty-five modalities of care. This allows for the real-time transfer of data to the distant site provider to evaluate and manage a patient via evidence-based medicine. ExepronHealth is a patient-centered system of care for healthcare administrators that tracks the duration of a patient’s stay. The platform provides enhanced patient visibility and enables predictive tools to maximize resources. Empowering health system administrators to improve patient satisfaction and safety through short, convenient surveys, F3 Healthcare collect rates of actual opioid usage after surgical discharge and patient experience indicators. It uses customized natural language processing to turn free text feedback into actionable intelligence that can reduce overall opioid prescribing. A medical device company working to improve surgical oncology, the company’s first product, The LIVO, controls bleeding in resection surgeries done to remove cancer in the liver, kidney, and lungs allowing for the preservation of tissue, reducing post-surgical complications. Hera Health Solutions is developing a biodegradable long-acting drug delivery implant. Their combination of material composition and manufacturing processes aims to revolutionize long-acting drug delivery. Hera Health Solutions’ technology solves the issue of invasive therapies and strict pill-taking regimens. Levisonics is an innovative platform technology for low volume, non-contact analysis of blood coagulation and fluid quality control testing -- enabling safe and reliable assessment of bleeding and thrombotic risks in neonatal, pediatric and adult patients with coagulation abnormalities. NeuroRescue provides prehospital medical professionals with a non-invasive medical device that utilizes standard equipment to effectively begin induced hypothermia protocol, decreasing the risk of neurological damage. This same device seamlessly allows for the transition to continued cooling at the hospital, again, utilizing standard equipment already existing at the facility. ThinkGenetic is a cutting-edge tool empowering patients who want to know about possible genetic causes for their medical issues or obtain real-life answers to their questions about the impact of living with a genetic disease. ThinkGenetic’s accessible content, tools and data services help individuals reduce time to diagnosis and rates of diagnostic error. About Cox Communications: Cox Communications is a broadband communications and entertainment company, providing advanced digital video, Internet, telephone and home security and automation services over its own nationwide IP network. The third-largest U.S. cable company, Cox serves approximately 6 million residences and businesses. 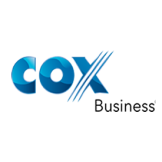 Cox Business is a facilities-based provider of voice, video and data solutions for commercial customers, and Cox Media is a full-service provider of national and local cable spot and digital media advertising. Cox is known for its pioneering efforts in broadband, voice and commercial services, industry-leading customer care and its outstanding workplaces. For 10 years, Cox has been recognized as a best operator for women by Women in Cable Telecommunications; Cox has ranked among DiversityInc's Top 50 Companies for Diversity 12 times. More information about Cox Communications, a wholly owned subsidiary of Cox Enterprises, is available at www.cox.com and www.coxmedia.com.